Lift chairs also known as recliner riser chairs are available in many different styles and fabrics with multiple different motor options. This section will guide you through your choices. This is one of the first questions you may come across when trying to select a lift chair. In simple terms the more motors the chair has the more options you have. 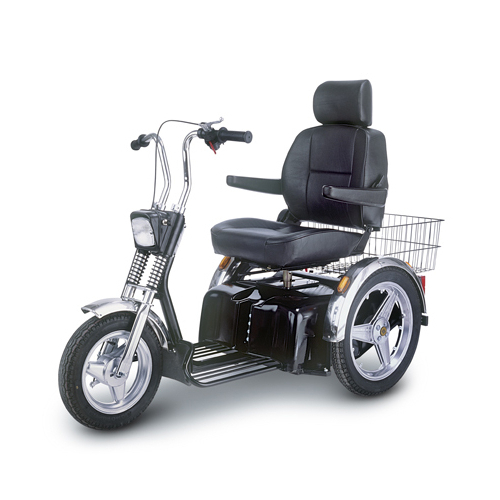 A single motor chair will allow your legs to raise, then it will recline your backrest. When you sit up in the chair, the back will sit you up, then the footrest will pack away, and if you keep your finger on the button you will rise to your feet. A dual motor chair will allow you to bring your feet up for a relaxed afternoon with a book. You can also bring your feet up and recline your back for a nice relaxing afternoon nap. Because you can move the backrest and leg rest separately, you can achieve many more positions than with a single motor lift chair, and you are not restricted to the order you need to do things. The MaxiComfort Lift Chair has been developed to give you more adjustment than ever before with a tilt in space feature. Tilt in space helps you maintain a better more supported position when reclined. This model also has the ability to raise your ankles higher then your heart allowing for optimal relief from various medical conditions. The LC 525 Chair Bed from Pride Mobility has been designed for those who want to use their chair as a bed. During the day the 670 is an elegant waterfall back lift chair and at night, with the optional mattress, it quickly transforms into a comfortable bed. It does come in different sizes and creates the tilt in space or zero gravity type of positioning. Please call Boston Orthopedic seating specialist for a consult or a better advise on the chair you need. Earth based testing utilizing parabolic flights of the 3D Printing in Zero G hardware was able to yield parts similar to ground based units under varying conditions. The results of these tests ended with the selection of the Made in Space unit being selected as the hardware for the ISS investigation (Snyder 2013).